Every class from Nursery to Year 6 follow the EYFS/National Curriculum and the schemes of work published by Entrust. We also like to add to the schemes of work, tailoring learning for our children, to ignite excitement and a thirst for knowledge. We love Espresso Coding, Education City, Discovery Education Espresso and a whole wealth of other websites and Apps to support our teaching. Cheese Sniffer Younger children can learn to sequence and to solve a problem with this great two player game. Who's mouse will eat all the cheese first? 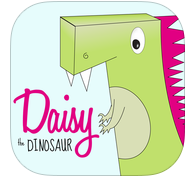 Learn the basics of computer programming with Daisy the Dinosaur. Available FREE for the iPad. 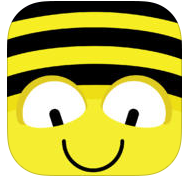 Or the Bee-Bot app, just like the floor robot that we use at school, the Bee-Bot app allows children to develop directional language and programming of sequences through different commands. By Year 6 children will be using Scratch to develop coding and sequencing of instructions. Here is the link to the Scratch website which will allow them to independently develop their coding skills. This will take you to the main page where you can either try it out or register for an account.